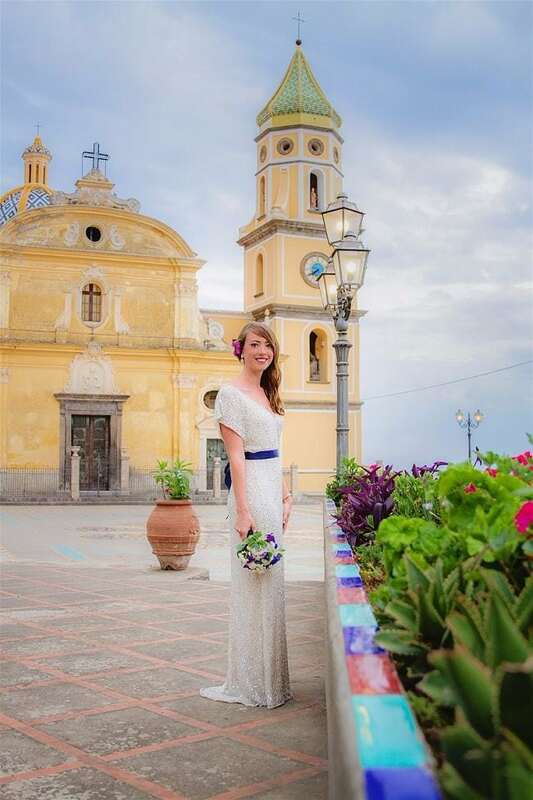 I honestly can’t say how lucky I feel that Jen contacted us about featuring her wedding abroad…I absolutely love this real wedding story. 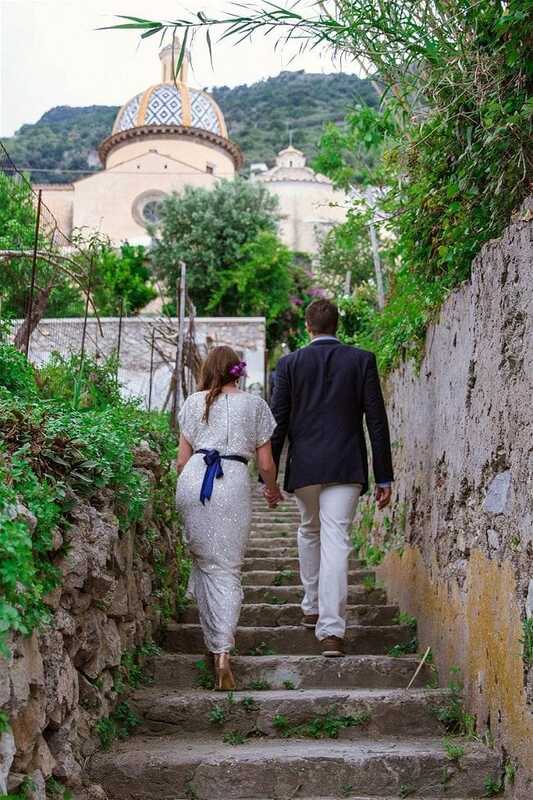 For anyone who is wondering “how to plan a destination wedding in Italy yourself” or if it’s even possible… then Jen and Ryan’s wedding will be all the inspiration you need! 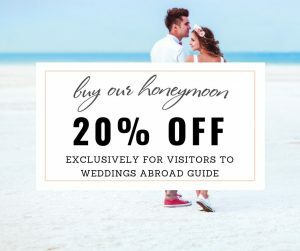 As well as all the invaluable information Jen shares about how to plan a destination wedding in Italy yourself, the images of their destination and wedding are truly stunning. 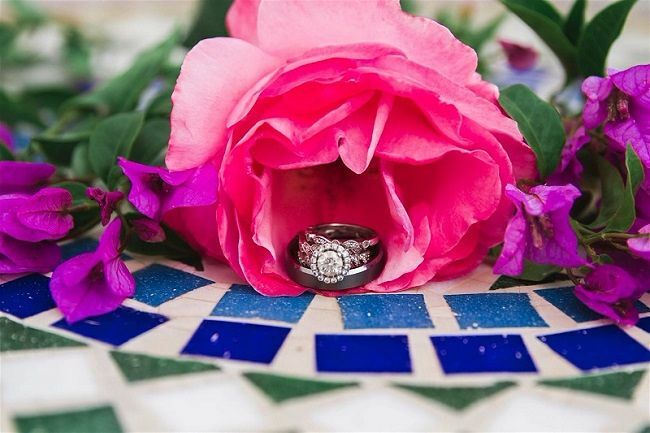 Jen and Ryan were lucky enough to have Jen’s best friend Courtney who runs Courtney Rachelle Photography in the United States, take their wedding photographs. 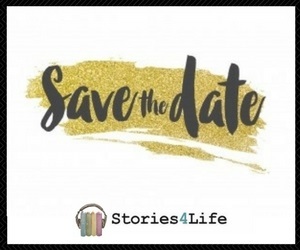 Originally, we booked a venue and were going to have a large, traditional Summer wedding in Pennsylvania, United States. We paid our deposit, and something to me just did not feel right; my heart just wasn’t in it. 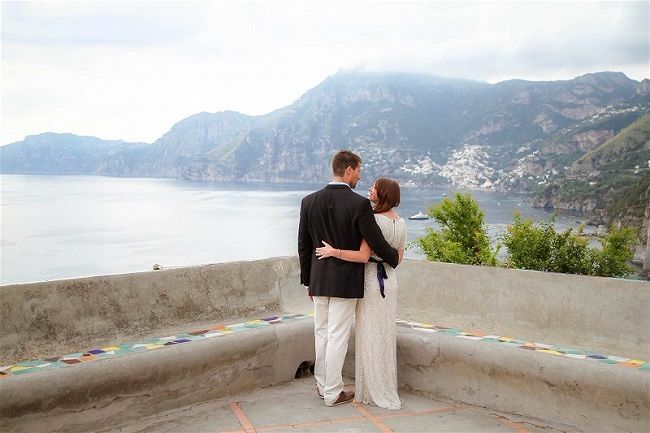 The previous Fall, my husband and I vacationed in Italy and we fell in love with Southern Italy, particularly the Amalfi Coast. 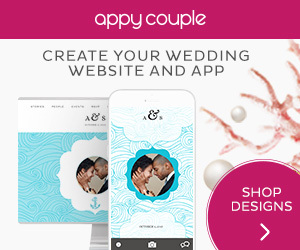 I mentioned to my husband that we should cancel our wedding and elope. Well, I let it slip that we were going to do that, and was pleasantly surprised at how MANY people wanted to come. 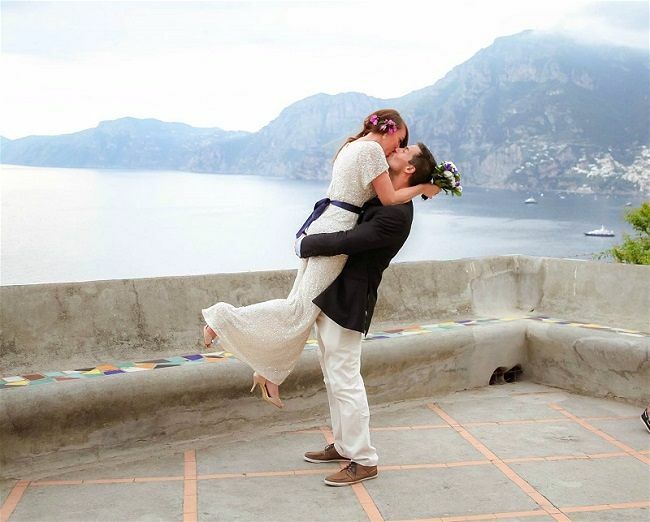 So, the destination wedding in Italy came to fruition! 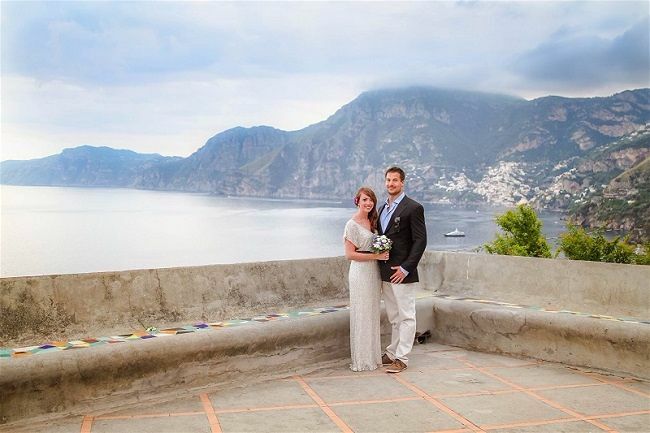 We chose the Amalfi Coast because we fell in love with the beauty there, and it was unlike any place we had ever been. Since Positano was out of our budget, we had read wonderful things about the town next door, Praiano. 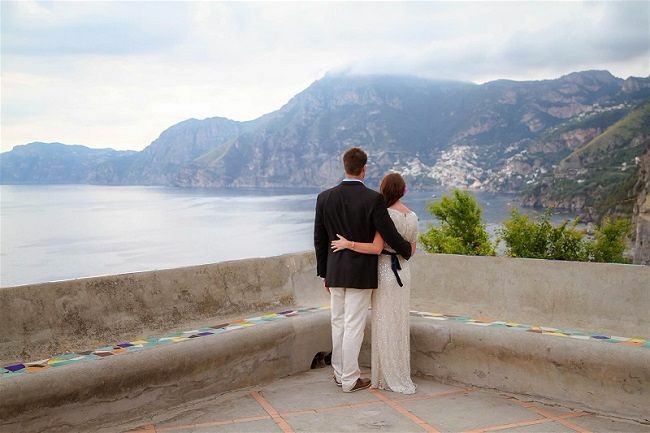 We read about its small town charm, its proximity to Positano, and how budget friendly it was. 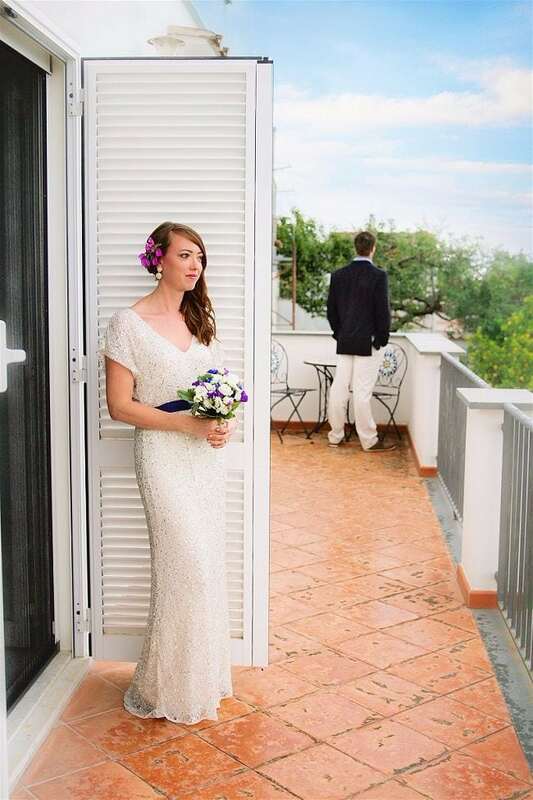 My favourite part was doing the “first look” on the balcony at the house. The photographer captured it perfectly! It’s funny, I did not really have a complete vision of our wedding day! I knew it would be outdoors, I knew it would be small and intimate, and I knew we would be surrounded by natural beauty everywhere. We honestly planned the entire thing ourselves! 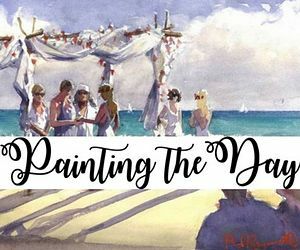 Not only did we have to plan the actual wedding, but we also had to plan an entire week-long adventure for everyone coming along for the ride. 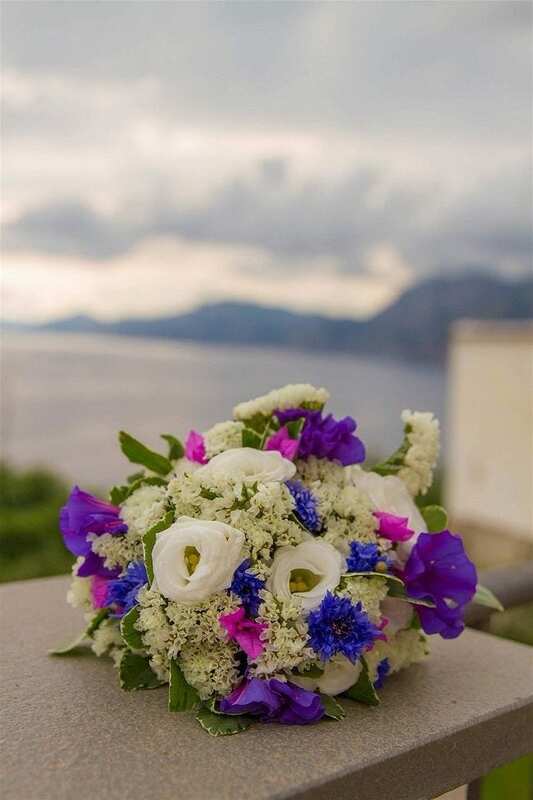 For the planing of the destination wedding, we relied on TripAdvisor and www.summerinitaly.com. 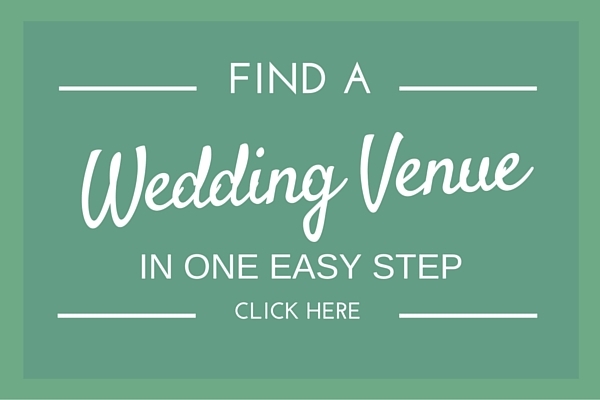 I used the forums in TripAdvisor to see how others had planned a wedding and read so many reviews to decide where exactly to have the wedding ceremony / reception. 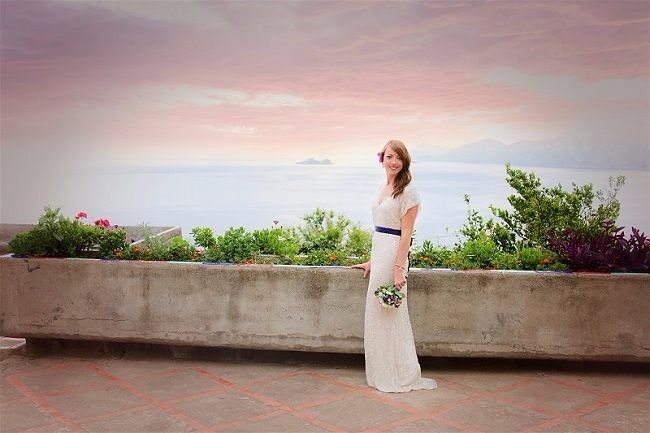 I used Summer in Italy to pick a place for everyone to stay at, and learn about the towns in the Amalfi Coast. 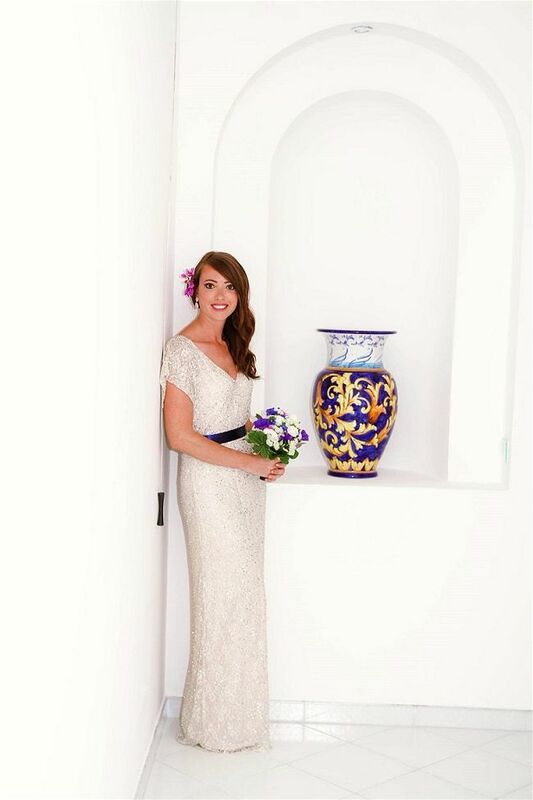 I highly suggest renting a Villa so everyone can stay together, and it can serve as your ceremony venue as well! We had so much fun all staying together at the house and enjoying the balconies and views. 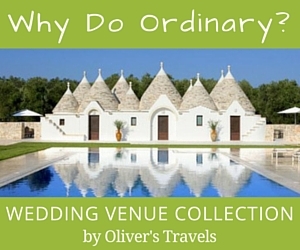 If you want to plan a destination wedding in Italy yourself, my advice is do your research. 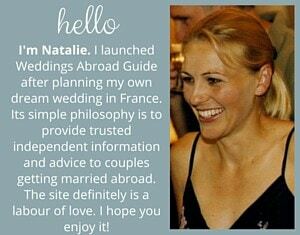 Having a destination wedding seriously cut down the guest list (haha!) and allows for your guests to go on an adventure which I absolutely loved. 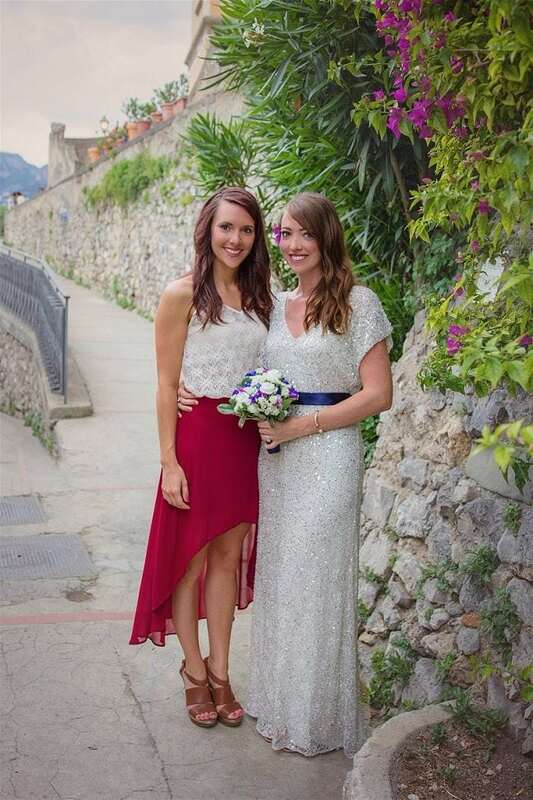 We could have never afforded a wedding like this in the States so that was another advantage. The biggest challenge was making sure that I had everything taken care of and everything packed that I might need! 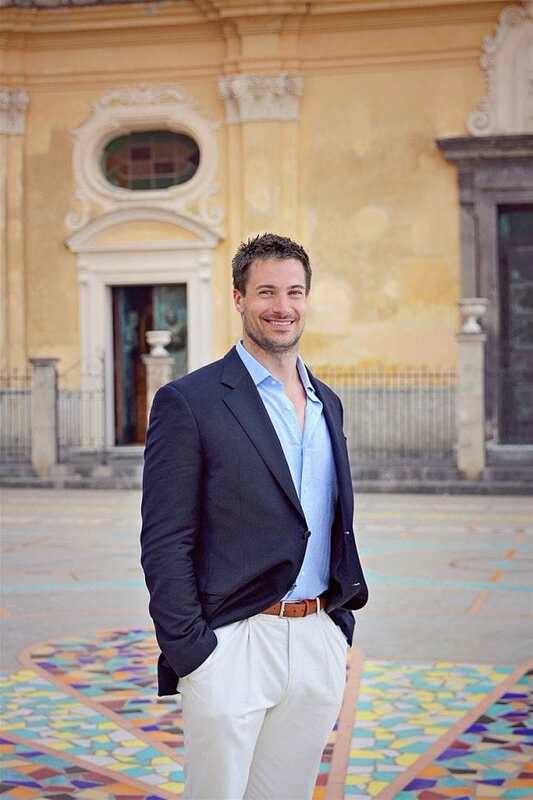 There are no major stores around Praiano (i.e. no Target, pharmacy, etc.) so if I forgot to pack eyelash glue for my fake eyelashes, or nail polish for my toes, there was no plan b! That was something I had to triple check. Also, another disadvantage is that not everyone can come so there will be some hurt feelings. That is why for us, it was super important to have a BBQ when we got home so everyone could celebrate. Take advantage of everything your destination has to offer! Make it fun for those travelling with you! We wanted our group to have an absolute blast so we planned activities, and made sure that the restaurant we picked for the reception was elegant and of course, super delicious. Enjoy every minute of your time abroad! Enjoy being able to travel with friends and take it all in. I wish we would have spent more time taking pictures. It started to sprinkle right before the ceremony so we cut our pictures short. We completely “winged” the ceremony. Originally, we had booked the villa that our group stayed in because it had a gorgeous view of the sea and beautiful gardens. We thought it would be the perfect place to have the ceremony. However, we noticed there was a huge church, Parrocchia Di San Gennaro, right behind our Villa on the walk into town. At night, we noticed children played soccer there and it was a rather lively courtyard. We changed our plans and decided to use the courtyard for our ceremony. Our close friend got ordained online so he was able to perform the ceremony for us. 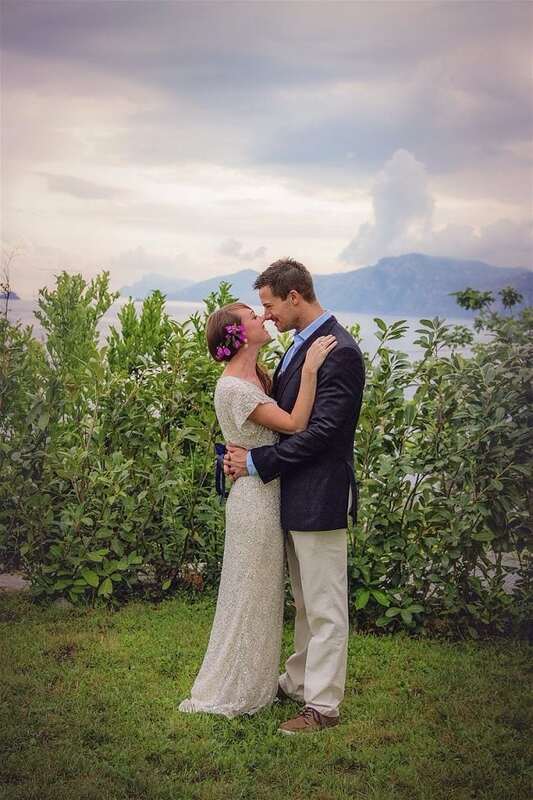 He wrote the entire thing, and Ryan and I said our own vows! 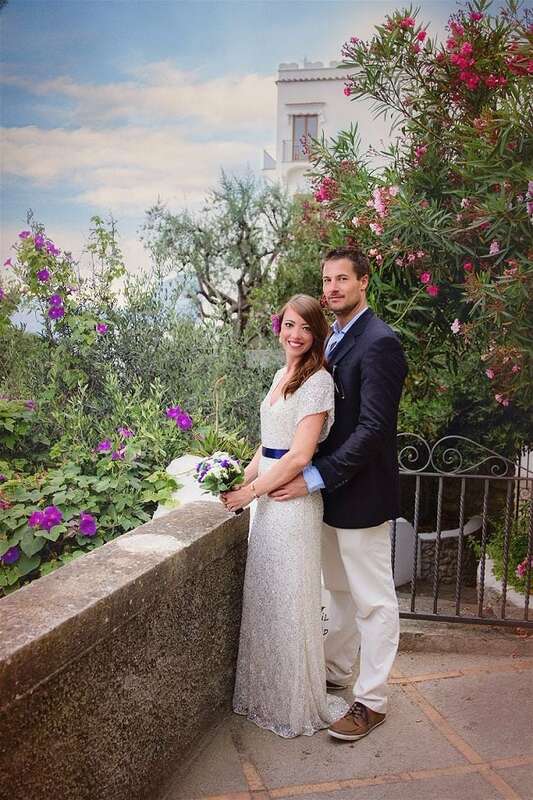 I want to note that it was difficult to legally get married in Italy, so we got our marriage license in the United States and it served as our symbolic ceremony in Italy. We held our reception at a restaurant. I researched so many options for our reception, and in the end, having it at a restaurant just seemed so Italian and perfect. It also saved us so much money since we did not have to pay a rental fee! We dined at La Strada in Praiano, and I made the reservation about 2 months in advance. In our e-mail correspondence, I got an idea of pricing. We had a tasting three days prior to the reception, and was able to pick the entire menu and sample everything. 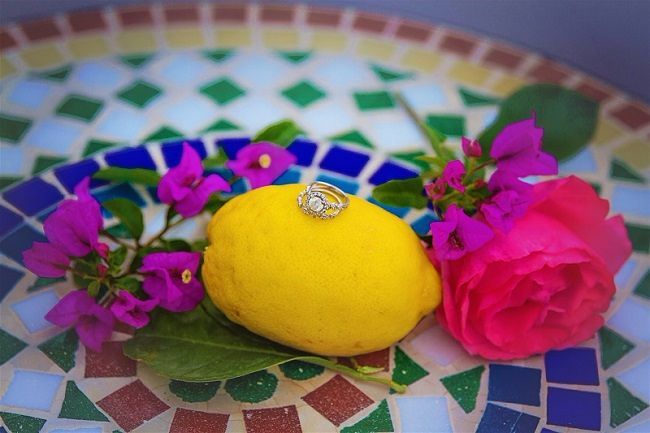 We chose the traditional lemon cake dessert in lieu of wedding cake since its famous in the Amalfi Coast! 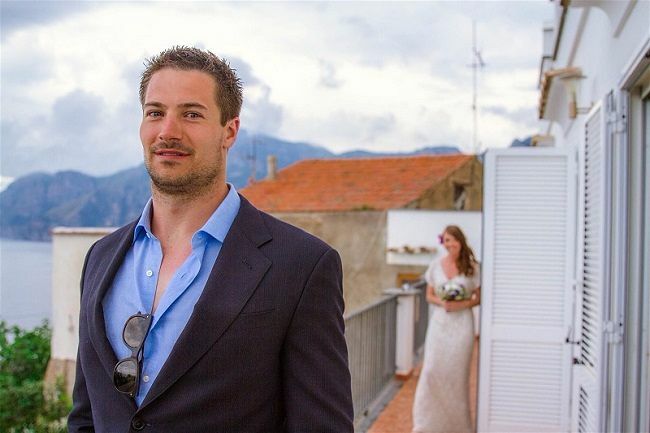 For 23 people, including an entree, appetisers, house wine and water, and few family style entrees to pass, and dessert , we spent under €1000 euro for the reception. Talk about a good deal!!! I highly recommend this restaurant it was amazing. Our meal was followed by an after party at the villa. As I mentioned above, we ate lemon cake instead of wedding cake since it was a local speciality. We took fresh flowers from the garden for my hair which I loved. I have an awesome story about this. I had originally planned on going to a local flower market for my bouquet. We went to a winery in Tramonti the day before the wedding. We had the entire winery to our group as part of a tour that we went on. While there, I noticed there were beautiful flower arrangements on each table. At the end of the day, I asked the head chef if I could please purchase a bouquet to use at my ceremony the next day. To my shock, we gave me two of the bouquets, for free and wished me a happy wedding!! I had packed navy ribbon so I was able to wrap the bouquet. I found my sequin gown off the rack at Saks Off Fifth (the Saks Fifth Avenue outlet store). I had to take it to a seamstress for a few alterations. 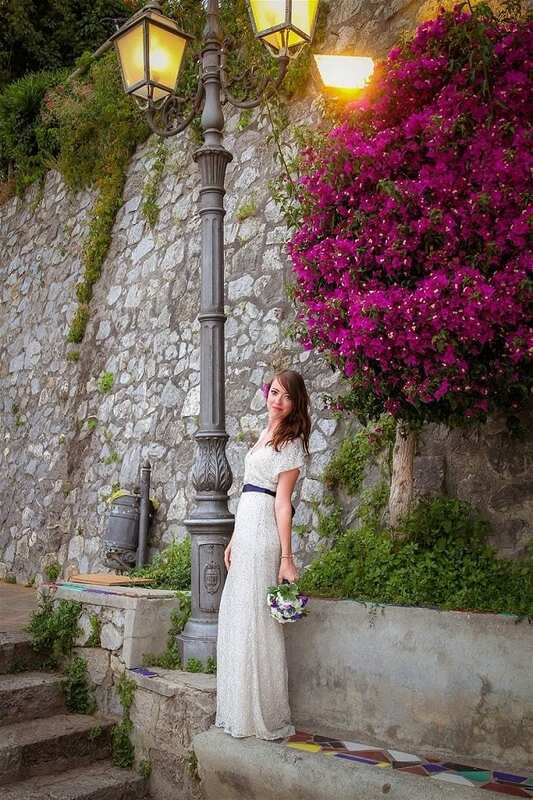 The designer is Alice and Olivia, and the dress was on sale for $275 (originally a $1300 gown!!!). My husband also got his attire at Saks Off Fifth and wrote khaki pants, a linen shirt, and a navy blazer. I bought a garment bag. 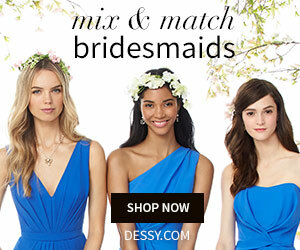 One of the stipulations I had when searching for a gown was absolutely making sure it wouldn’t wrinkle easily and would easily fit into a garment bag. As soon as we boarded the plane, I asked the stewardess to hang my dress and she put it in the pilot’s coat closet! 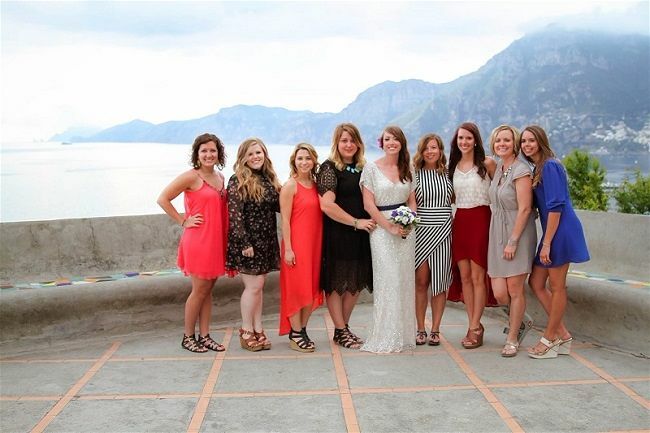 Our entire group was coming for a week to Rome and the Amalfi Coast, so we spent hours and hours planning tours, activities, and the like. We used a tour company in the US to plan out our itinerary while in Rome, and we used TripAdvisor to plan our itineraries and tours in the Amalfi Coast (we were there for 5 days). We also arranged all transportation to and from airports, buses, etc. Honestly, it was a logistical nightmare and I can’t believe it all worked out! We also planned a BBQ for 120 people for when we got back to the States. That was the easy party! 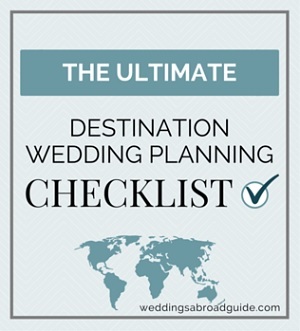 I think that people are scared to plan a destination wedding because they think it will be so expensive. 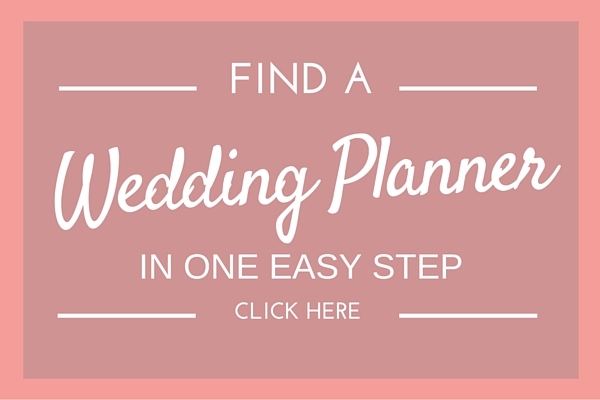 We were able to plan ours on a serious budget. Restaurants are an awesome reception idea if your group isn’t too large. 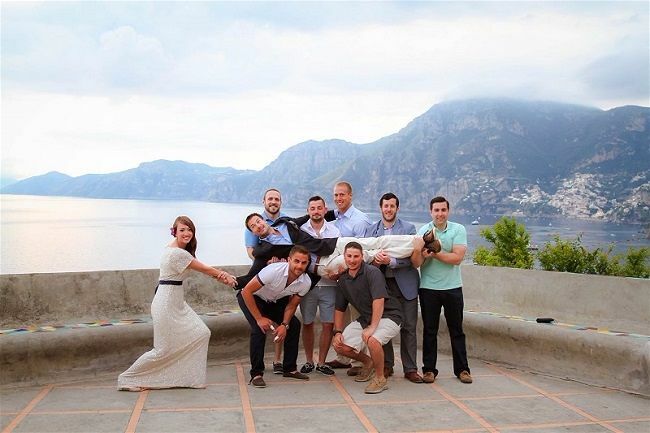 They will go above and beyond to cater to you and your group, as well! 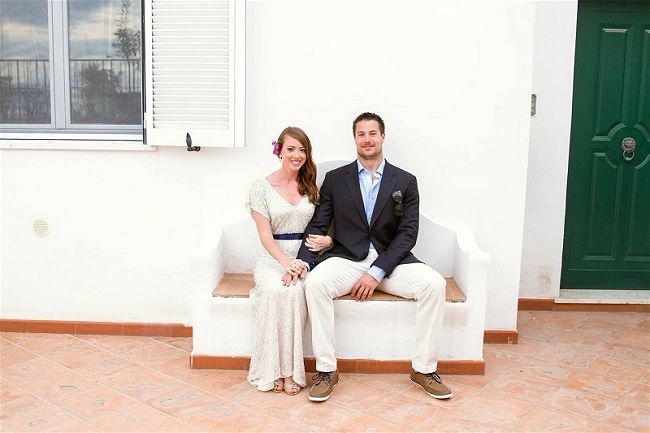 Like Jen and Ryan, my husband and I also planned our own wedding abroad – it certainly is possible! If you’re thinking of doing the same…I know my “Step-by-Step Planning Guide” will help you get started on your journey. 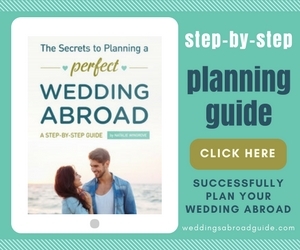 As well as my own personal experience, you’ll receive hints and tips from other couples, like Jen and Ryan who have also been married abroad and fab advice from wedding professionals who do this day in and day out. I say go for it! 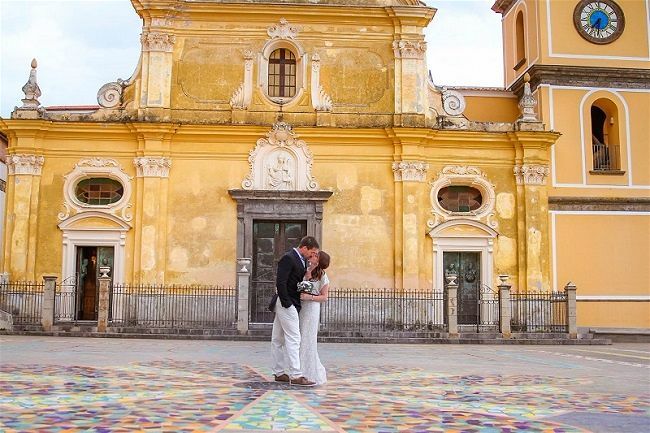 Plan a destination wedding in Italy yourself – With Help! 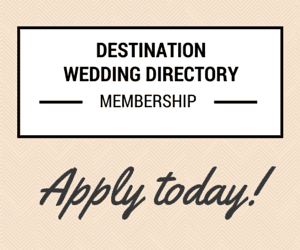 Looking for great wedding suppliers to help you plan your destination wedding in Italy yourself? 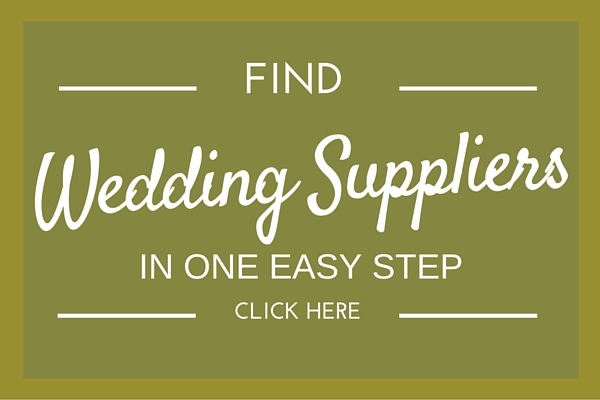 To make things a little quicker, click on one of the boxes below, tell me what you’re looking for…and the suppliers will then get in touch with you…simple and easy! 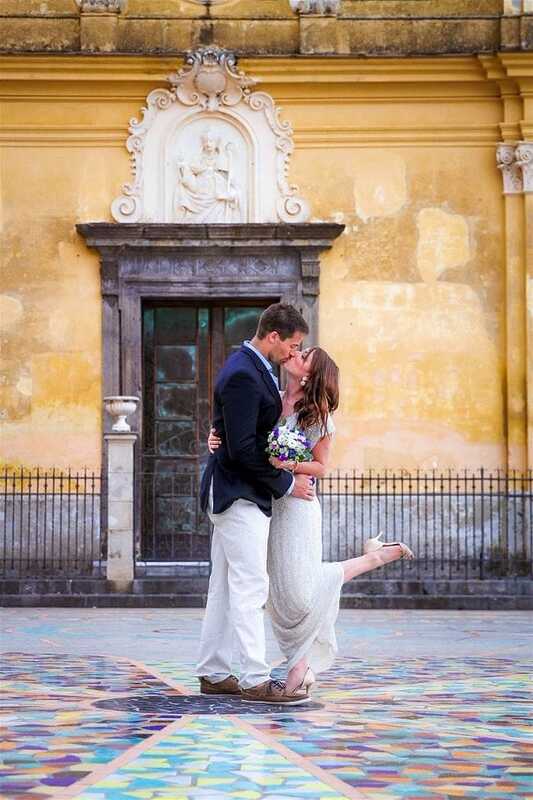 Planner: Jen & Ryan Self-planned // Wedding Photographer: Courtney Rachelle Photography (US Photographer) // Ceremony Venue: Parrochhia Di San Gennaro courtyard; original plan was the garden at the villa // Reception Venue: La Strada Restaurant, Praiano // Villa Accommodation: Villa Dorata // Bridal Gown: Alice & Olivia // Bridal Shoes: www.6pm.com // Grooms Attire: Saks Off Fifth // Hair & Makeup – Jen did her own (bought extensions at Sally Beauty) // Wedding Stationery: We had our tour company print itineraries to everyone that included details of the wedding day.